Lancet – Margaret Chan closed last week’s World Health Assembly, a festival to display the best of global health diplomacy or an Olympics of broken promises (depending on your view of global health realpolitik), by claiming that, “We can do anything in the world we want to, provided we speak with a united voice.” Whoever wrote this line should be dispatched to the deepest bunker of WHO’s most corrupt member state (there are a good few to choose from). “Speaking” is what the World Health Assembly does supremely well. “Doing” is another matter. When one examines the resolutions passed, official side-events held, technical briefings convened, and exhibits displayed one can’t help marvelling at the vanity of it all. You can count on the fingers of one hand those ministers who speak the truth about their government’s failures to take health seriously. You will never find a WHO official prepared to state on the record that a country is betraying its people by ignoring their wellbeing. The politesse of international health is dishonest, duplicitous, contemptible, venal, and, sometimes, even criminal. And yet we continue to applaud. The phoney war has begun. Three declared candidates standing to be the next Director-General of this most important, but weakened, institution, were in Geneva last week to launch their campaigns. 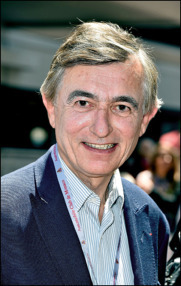 The candidate who visibly wants the job more than any other is France’s Philippe Douste-Blazy. A former Minister of Foreign Affairs, Minister of Health, and Minister of Culture, he has the active support of President Hollande. Douste-Blazy has a fine global health pedigree, leading UNITAID and being an expert on innovative financing for health. In the events I saw him attend, he was silent, but studious, listening intently and writing voluminously. He behaved like a keen student attending his first university semester. The rumours surrounding his campaign have already become legendary. Is it true the French Government has allocated €250 million to his campaign? Will Douste-Blazy run with Bernice Dahn, Liberia’s Minister of Health, on a joint ticket? Did President Hollande call Angela Merkel and ask her to support Douste-Blazy? Has France lobbied Francophone nations in Africa, with the offer of development assistance, to split the continent’s vote (Ethiopia’s Minister of Foreign Affairs, Tedros Adhanom Ghebreyesus, is the official candidate of the African Union)? France has a great deal to offer global health—its respected international institutions and networks, its long history of global engagement. But Douste-Blazy must step through this haze of backroom solicitation and set out publicly what he stands for. 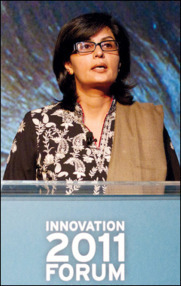 Pakistan’s Sania Nishtar, a respected civil society activist and former minister of multiple portfolios in her country’s 2013 caretaker government, made a quieter launch. She hosted a reception to discuss her campaign, held meetings with official delegations, and published a brochure setting out her credentials and experience. Nishtar has a strong track record and has sought high office before—she was Pakistan’s official candidate for United Nations High Commissioner for Refugees. Her Head of State has some catching up to do to match France’s energetic start. Minister Tedros was also to be found in the delegates lounge of Geneva’s Palais des Nations, holding discreet meetings with colleagues. At a formal launch of his candidacy, he described WHO as “at a crossroads”. He set out his achievements as Minister of Health, stressed his global experience, and offered three priorities: ensuring access to basic health care as a human right, strengthening emergency preparedness and response, and improving the lives of women and girls. “It’s time for a Director-General who has lived some of the most pressing challenges facing our world today, as I have lived in Africa”, he said. WHO’s next Director-General must love the organisation and its staff. S/he should be the chief advocate for what it stands for and does. S/he needs to see its regional offices as strengths not weaknesses. S/he needs to encourage WHO’s directors to use science as a lever for political and social change. S/he should not waste time on more internal reform. Instead, focus on performance. Three priorities will determine success—advancing health equity, delivering sustainable development, and optimising execution. The chief tasks for a new Director-General are to inspire and motivate, strengthen confidence and credibility, and deliver results. The phoney war will soon end. Countries need to know what actions candidates will take. Speaking is important. But achievements matter more.